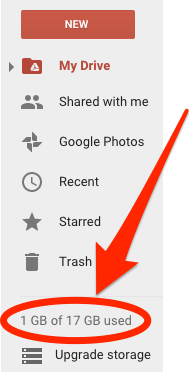 Google Drive – Get 2GB of free storage! Today is #SaferInternetDay (yes that is a thing). Google is encouraging people to check their security settings which isn’t a bad thing. 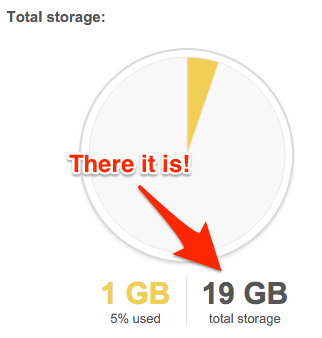 It only takes two minutes and Google will reward you with two free GB of extra storage on your drive account! That’s pretty fantastic. Once you’ve gone through the whole security checklist – head over to Google Drive and then check out your Drive storage info. If it doesn’t show up right away don’t freak out. It may take a few hours to reflect. If you really want to know click on the Upgrade Storage button. There you have it! It’s always good to check your security settings on all your websites once in a while and try to change your passwords annually. This entry was posted in Google Apps, Helpful Tips, Patrick Cauley and tagged free storage, google drive, safer internet day. Bookmark the permalink.